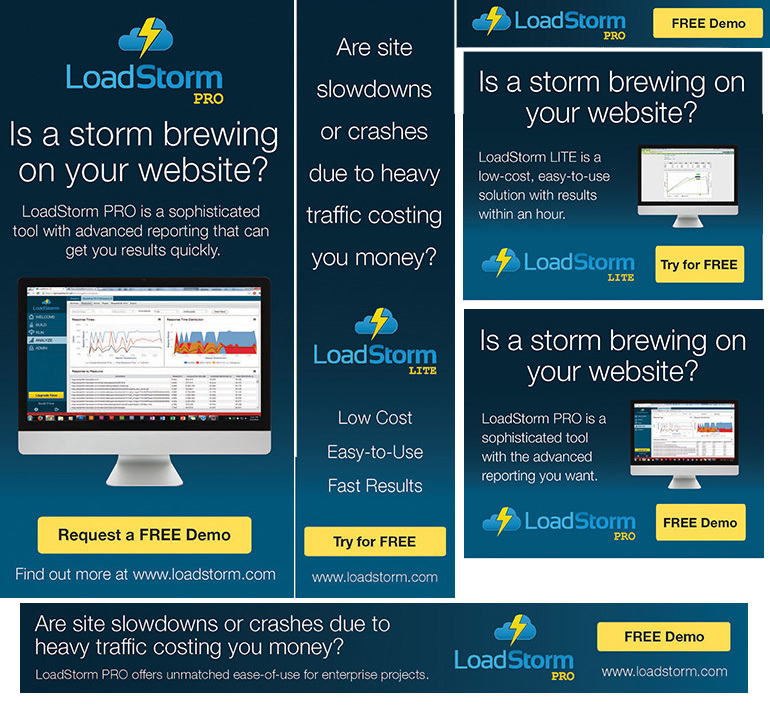 As part of the launch of their new product lines, Loadstorm wanted a variety of web banners for the new products. I capitalized on their existing color palette as well as worked with the weather theme they use with their products and advertising materials. The goal was to create straightforward ads that would get attention and explain why someone should be interested in their products.